It is perhaps as a result of a national love of simplification and a desire to associate widespread movements with some particular name that there has grown up in Britain a habit of referring to practically all later eighteenth-century architecture as Adam. In actual fact the Adam brothers can have had nothing whatever to do with a vast number of the buildings that are popularly associated with them, and though Robert was outstanding as a designer, there were many other men who worked in the same style with little less distinction. Some, in fact, perhaps even produced more practical or, at times, even more original designs. 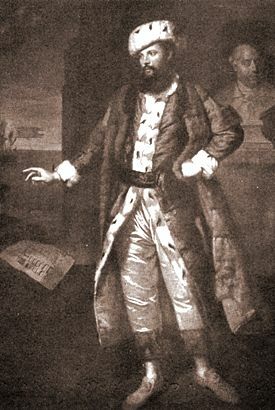 Mr. Lukomski's book on the eighteenth-century architect, Charles Cameron has therefore an important part to play in this connection. It shows us, in its text and in its splendid reproductions, the work of another Scotsman, who is practically unknown in Britain, yet who produced work of a quality as high as that of Robert Adam at his best and who played a no less important part in the revival of the Greek and Etruscan styles. In fact, if we look at the dates, we see that Charles Cameron was not necessarily a follower of Adam, and that many of the innovations we associate with the latter must have been put into practice by Cameron independently. This is, however, by the way, for the merits of a man's work are not to be measured by the innovations that he introduced, but on more solid and more permanent grounds. A hundred years later what does it matter whether this man or that was the first to introduce a particular motif? What does matter is the use he was able to make of it in his work. And Charles Cameron made very good use, as the text, and especially the plates, of this volume will show. He was, in fact, an architect of outstanding ability, and his name is worthy to rank beside those of his far better known countrymen, the Adam brothers, Chambers, Wren, Vanburgh or Inigo Jones. Apart from their own great qualities as monuments of architecture, Charles Cameron's buildings are of peculiar interest to the scholar. Firstly, undocumented as they are, they afford an admirable field for analytical study. Secondly, representing as they do the work of a Scotsman in Russia, they afford an admirable opportunity of instituting enquiry in the subtle and intriguing field of what may be called racial aesthetics: that is to say, they afford an admirable opportunity of enquiring what exactly in Cameron's works is the result of his British heritage, and what is to be attributed to the spirit of Russia. For the most casual glances through the plates that follow cannot fail to disclose the fact that there is something in these buildings which distinguishes them from works of similar age and heritage in other parts of the world. There is, in fact, something about them that is essentially Russian, and we see the same clear, but often intangible, characteristics in the works of other foreign architects who worked in Russia at the time; the Italians, Rastrelli and Quarenghi, the Frenchman, Thomas de Thomon, or the German, Schluyter. The works of all these, and many anothers have about them some subtle factor which binds them together, with those of Cameron, to distinguish them as basically Russian. Yet each of them show their own national characteristics too, and Rastrelli's work,though one can class it at once as Russian, is also Italian; Schluyter's has a certain cumbersome quality about it which is essentially German; Cameron's has much that is typically British in its solid, determined honesty and its balanced ornamentation. This is especially noticeable at Pavlovsk, which at first sight recalls Adam's more familiar Keddleston in its construction, and which boasts in its interior a gallery of antique sculpture suggestive of those which constituted so distinctive a feature of British country house architecture in the later eighteenth and earlier nineteenth centuries. In the famous Amber Room at Tsarskoe, on the other hand, Cameron has been completely overcome by the sumptuous luxuriance of Russian taste which we see exemplified at an earlier date in the multi-domed churches and fantastic dwelling-houses of the Kremlin at Moscow. There is again something essentially Russian in the breadth of conception that distinguishes Baturin or Pavlovsk: there is in these buildings a spaciousness and vastness which it is tempting to attribute to the influence of Russia's boundless horizons. Another important problem that arises from a study of Cameron's work is that of his origin and early life, about which extremely little is known. In the later 'sixties he was apparently in Rome, preparing his book on the baths of the Romans, which was published in 1772. At that time he is described, on the back of the portrait shown in the frontispiece, as "Lord Bute's Agent"; agent probably in the sense of protege, who went to Rome at Lord Bute's expense, in order to acquire sculptures and works of art for his Lordship's collection. It is tempting to suggest that it is as a result of this schooling that at a later date he erected the delightful sculpture gallery at Pavlovsk. A bookplate in one of Cameron's books, until the war preserved at Tsarskoe Selo, gets us rather further, for it bears what appears to be a somewhat Russianised version of the arms of the Camerons of Locheil. The motto and the supporters are exact; the bar has, however, been incorrectly interpreted. No Charles Cameron who went to Russia is, however, known in the records of the family. On the other hand, a certain Dr. Archibald Cameron had a number of sons, three of whom do not figure in the history of the family at home, and it is possible that Charles was one of these. The little that is known of Cameron's life in Russia is noted by Mr. Lukomski in the pages that follow. Mr. Lukomski's delightful architectural drawings are well known and have done a great deal to show us the merits of Cameron's works,and no one could be better placed to put Cameron's works before us, since he was not only curator of Tsarskoe, where much of Cameron's best work is to be found, but was also the restorer of Baturin, a superb country house which at the beginning of this century was a complete ruin. Further facts about Cameron's life in this country will no doubt one day be disclosed. It may even prove possible to attribute to him some of the vast array of unassigned Georgian buildings of England, or more probably, Scotland. During wartime, however, the study necessary for such work is impracticable. Public and private archives are inaccessible; above all, time to prosecute the necessary researches is lacking. It must remain for some student of the Scottish heritage to make more ambitious explorations in the future.